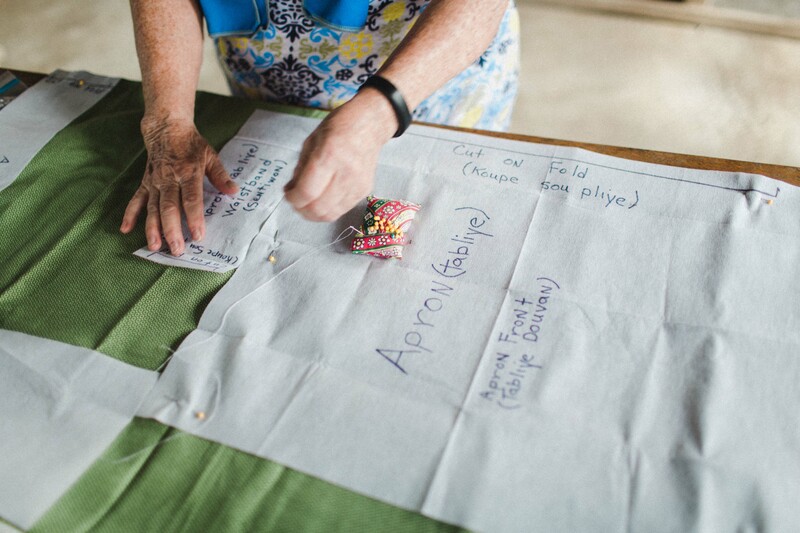 Every four months we teach a two-day sewing class to 40 women in the community. Throughout the year, the program has an impact on 120 women. Each woman receives a sewing kit (fabric scissors, thread, needles, pins, buttons, etc.) and a pattern. The women learn how to make various items such as market bags, half-aprons and dresses. We also provide an additional 2 yards of fabric to each woman. We purchase the fabric in the market to help support the local economy. Women are encourage to use their creativity in making additional items. Miss Margo teaching the women how to cut a pattern. Some women are learning how to sew for the first time. Others are honing their skill. The goal of the sewing program is to educate and empower the women. 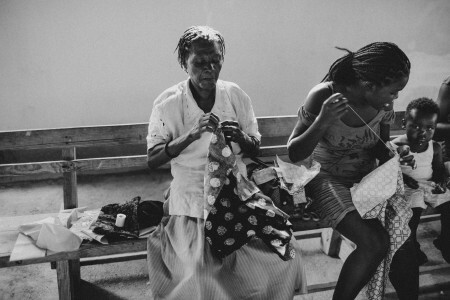 By learning how to sew, women are learning how to be self-sustainable. Some women are using their skill within their household. While others, have a goal to develop their skill further and start a business. Women learning how to make half-aprons. The program is greatly loved by the women in the community. They are always eager to register for the program when it is available. It is also a great time of laughter and fellowship. The sewing program is currently funded by Trinity United Church of Christ in Gary, Indiana.